The American School of Marrakesh (ASM) is a not-for profit, independent school in Marrakesh, Morocco. It offers classes from kindergarten to 12th grade to approximately 400 students. 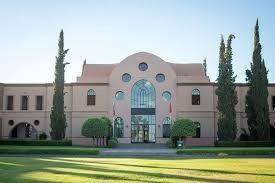 The American School of Marrakesh was founded in 1995 by Joseph A. McPhillips III, Head of School at the American School of Tangier for thirty-five years. Started as a branch of the American School of Tangier, which had been in existence since 1950, the American School of Marrakesh was intended by Mr. McPhillips to be a model institution, reflecting his personal belief in education and a belief in the Kingdom of Morocco. Under the early leadership of Joe McPhillips and Mrs. Audrey Riffi, the school opened its doors in rented facilities in a villa with two teachers. It moved into its present purpose-built facility in stages. The Lower School opened on September 15, 2001, and the Upper School opened on March 27, 2002. Adding grades each year, ASM graduated its first senior class in 2008. Most of the graduates enroll in universities in the US, Canada, Europe and Morocco. Designed by Charles Boccara and landscaped by Madison Cox, the present school facility is a tribute to the enduring nature of a school founded as a dream by Joe McPhillips and nurtured into successful pre-eminence in Marrakesh by the combined efforts of teachers, parents, staff, administrators, board members, and friends of the school. An independent private institution located on the outskirts of Marrakesh, Morocco, ASM offers an English-language, American-system education from kindergarten through 12th grade. The school follows AERO standards (American Education Reaches Out). 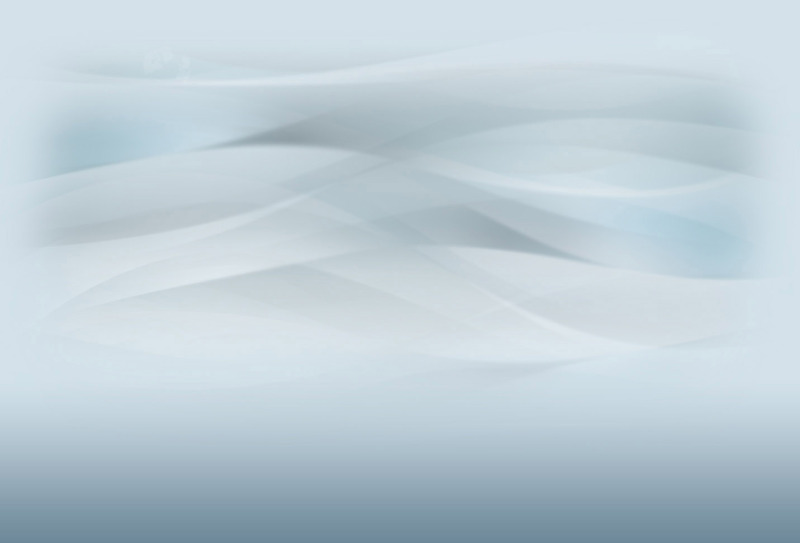 ASM is fully accredited by the Middle States Association of Colleges and Schools. Students must take four years of math, four years of English, four years of History, and four years of Science in order to graduate. Arabic is offered in Grades K-12 while French is introduced in Grade 2. Both languages are considered core curriculum classes that all students are required to take. To accommodate students who join the school with little to no French or Arabic, the School offers several levels: Advanced, Standard and Arabic/French for beginners. Most graduates attend universities in the US, the UK, Canada, Europe or the Middle East. The School is governed by a self-perpetuating Board of Trustees elected for 3-year terms. The School is incorporated in the State of Delaware and registered with the Internal Revenue Service as a U.S. tax-exempt institution. 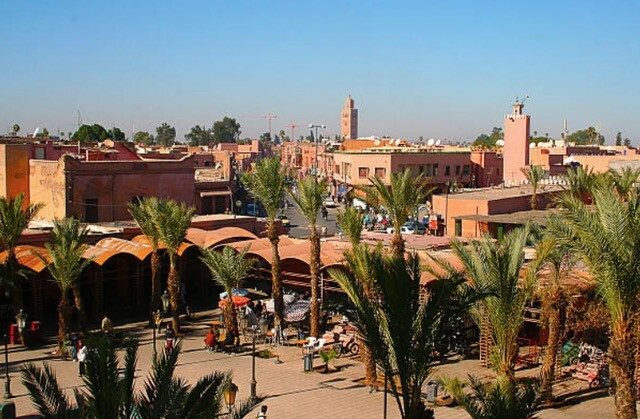 Marrakesh is the fourth largest city of Morocco with about 800,000 inhabitants. It is the major economic center of the region. 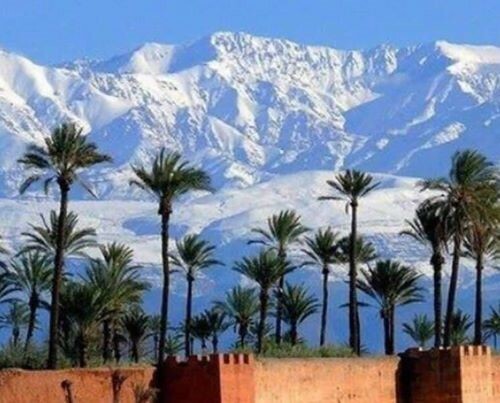 It lies at the foot of the Atlas Mountains, beautifully snow covered in the winter. Like many north African cities it is mainly divided into a medina, which is the old fortified city, and a modern city nearby (called Gueliz). The city has a wonderful climate with mild winters and warm summers. The name “Marrakesh” probably has been derived from Berber words ‘mur(n) akush‘ which means the land of god. 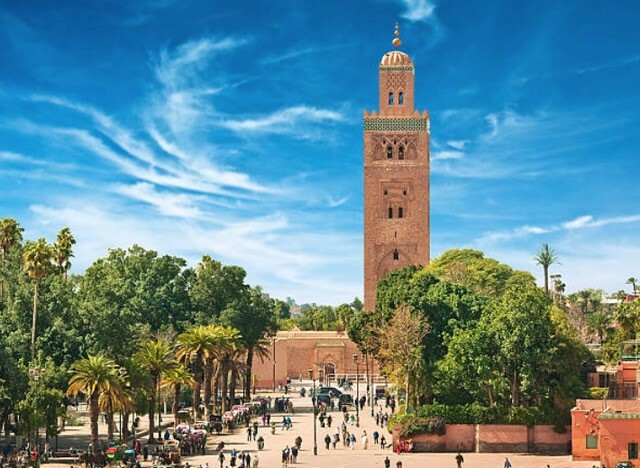 Until a few decades ago, the Arabs, Persians, and Europeans, called Morocco the Kingdom of Marrakesh. It was founded in the 11th century and was the capital of an empire that stretched from Spain to Senegal. In earlier times it was a major stop on the crossroads of trading caravans going in the direction of Timbuktu. Experienced travelers would consider Marrakesh to be an extraordinary and fascinating city. Below are six photos of the city and places of particular interest. 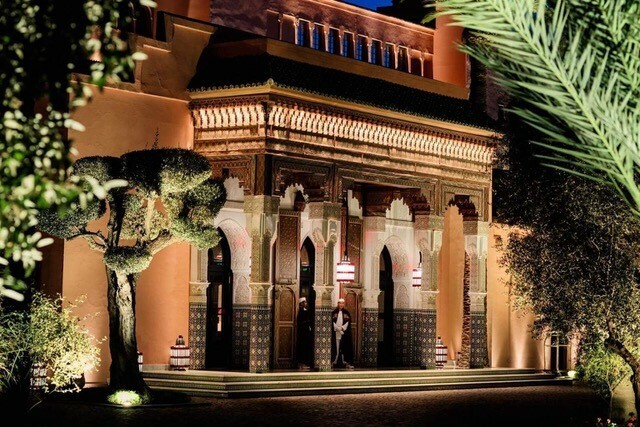 The entrance to the famous Mamounia hotel, where Churchill painted many landscapes while trying to escape briefly from the pressures of war. A day pass can be bought to visit this historic place. Villa Oasis was the private residence of Yves Saint Laurent and his longtime partner Pierre Bergé. 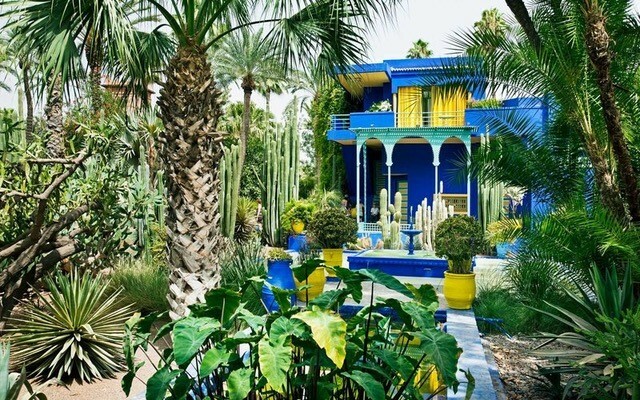 Formerly owned by French painter Jacques Majorelle, the bold-colored garden was lovingly restored by the couple, who later added a museum dedicated to the rich culture of the Berber people of North Africa. 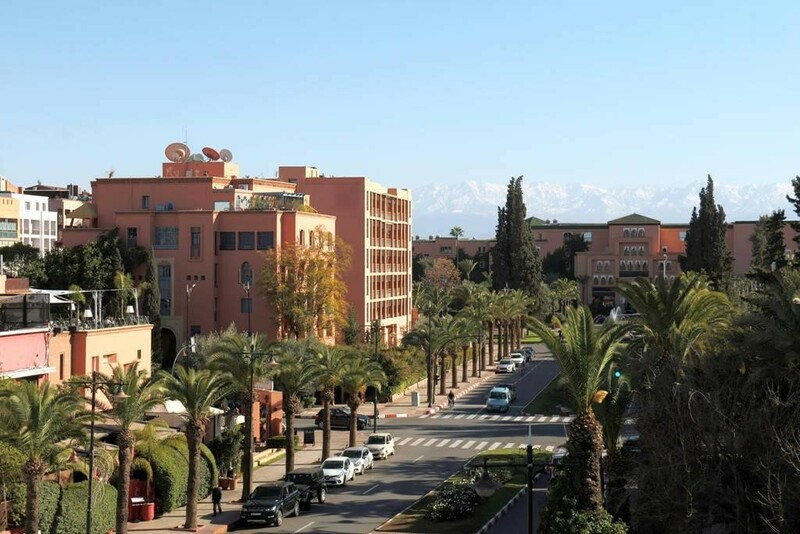 Conviction, after visiting ASM, that working at ASM and living in Marrakech will be a good match and provide a happy lifestyle, leading to the strong possibility of a five year commitment. Previous experience in working and living in a Muslim Country. Suitably qualified candidates for 2019 should send to John Magagna of Search Associates <jfm@searchassociates.com> (with a cc to < Admin@searchassociates.com> all the items below, collated together in a single pdf to arrive as soon as possible, but no later than March 31, 2019. Candidates for both 2019 and 2020 should adhere to the 31 March deadline as well. Candidates for 2020 only should also apply promptly as the Board may make a decision by early April if the right candidate is identified early in the search. Applications will be reviewed by Search Associates as soon as they are submitted. The files of those candidates considered to be a good match for ASM will be forwarded promptly to the search committee of the ASM Board. The Board’s intention is to appoint a new school head for 2019 no later than early April. If the strongest candidate is only available for 2020, however, the board is willing to wait. Therefore, it is very important for all interested persons to submit applications in a timely fashion. For additional information about ASM, please see www.asm.ac.ma.